In addition to iron, the main elements contain carbon steel, manganese and silicon, sulfur, phosphorus, etc. As the criterion of classification, the types of steel pipe is led to be diverse. There are seven main classification methods in the modern market. 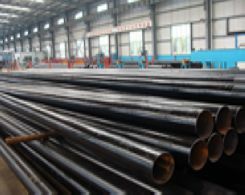 If depend on the criteria of the production method, it can be divided into seamless steel pipe and pipe joints straight seam steel tube, referred to as a steel pipe. If abide by the law of connection mode, we can divide it into The light pipe and threading pipe. If comply with the discipline of coating characteristics, it can be divided into Clarinet and plating coating tubes. And the clarinet is not plated coating, seeing the name of a thing one thinks of its function. But black steel pipe is made of steel that has not been galvanized. And if in accordance with the purposes to classification, it can be divided into a large number of types, including pipes, tubes, thermal equipment with mechanical industrial pipe, petroleum geology drilling pipe, chemical pipe, other departments tube. If abide by the rule of section shape, it can be divided into round steel pipe, profiled steel, section of steel pipe and variable cross-section steel pipe. Special shaped steel pipe refers to various non circular cross section tube. The major ones are: square tube, rectangular tube, oval tube, flat oval tube, tube, hexagonal tube, six corner tube, not equilateral hexagonal tube, pipe, angle of five equilateral triangle plum tube, octagonal tube, convex shape tube, double tube. Biconcave shaped tube, multiple concave tube, oval shaped, flat tube, pipe, pipe, tube shaped diamond parallelogram pipes, ribbed tube, drop shaped tube, inner fin tube, twisted tube, different B tube, D tube and multilayer pipe etc. 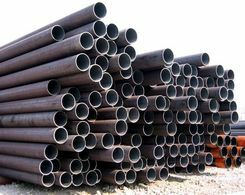 And variable cross-section steel pipe is the pipe along the tube length to the section shape, inner and outer diameter and wall thickness, periodic or non periodic change. In short, steel grades and specifications of steel products is very wide, it also has a wide range of performance requirements.